These simple exercises if you do them at least once a day, will deliver you from unnecessary calories. The famous American fitness coach Jim Saret, developed his own method of rapid weight loss for those who usually do not have time for it. Traditional exercises, this coach considers as ineffective. For example, by running you lose only 150 calories an hour. But his exercises allow burning of 100 calories in just 4 minutes, if you do everything perfectly. “If you feel that you are in good physical shape, you can even limit yourself to only 2 minutes. And you can do the four-minute exercises daily”- says Saret. He specially the plan of these exercises for people who lead sedentary lives, and get tired in the gym only a few minutes after the start of the workout. To make these exercises a habit, try to do them with a member of your family. 10 repetitions of the same will be enough. Consecutively do 10 pushups. If you have any difficulty, you can do them on the wall, not the floor. The exercises should be completed by an exercise from your childhood. Step forward with your left foot and crouch on the right. And vice versa. Do 10 reps on each leg. 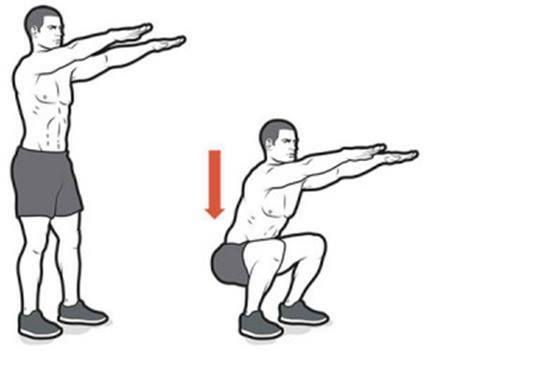 Saret recommends that this mini-complex of exercises is done every time possible. 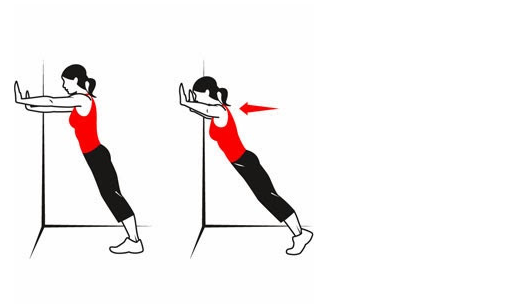 You can do the exercises at four consecutive times. Between repetitions, you should pause for 1 minute. Thus, this mini-complex of exercises can be converted into a complete 20-minute workout. That is enough. Saret says that the strenuous workout in the gym is needed only by those who want to have a perfect fit form that will leave an impression on the environment. If you just want to look young and feel great, those 20 minutes daily will be enough.